Steve Rogers is the Supreme Leader of Hydra, and he’s claimed the United States as his own! 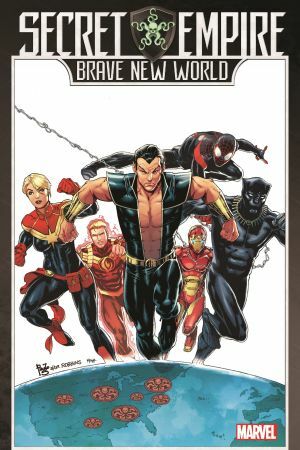 Faced with Captain America’s new world order, Earth’s heroes have a choice to make: stand and fight, or fall in line. These are their stories. What will become of Cap’s oldest allies, the Invaders? And who will step up to become the Marvel Universe’s new Patriot? Estranged from the planet he’s duty-bound to protect, Kevin Conner, A.K.A. Starbrand, wrestles with the weight of his destiny. 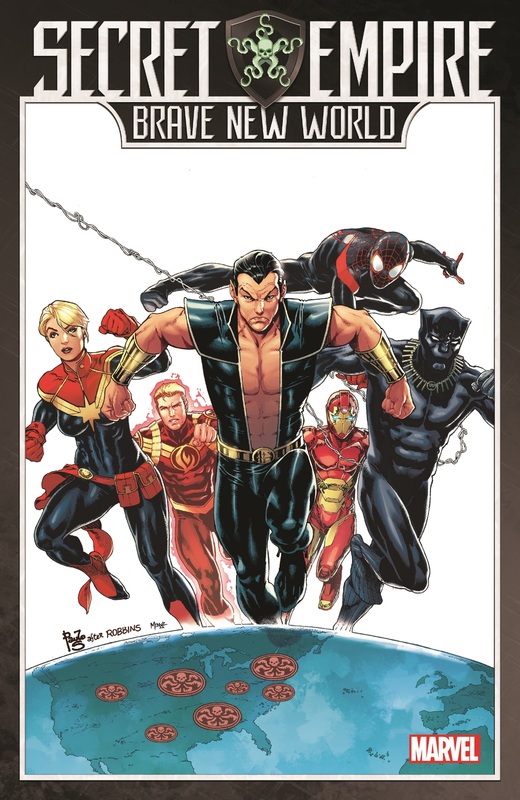 Meanwhile, a traitor in Atlantis could bring an end to Namor’s truce with Hydra! Plus: Gwenpool! Giant-Man! J. Jonah Jameson! And Hydra Bob! 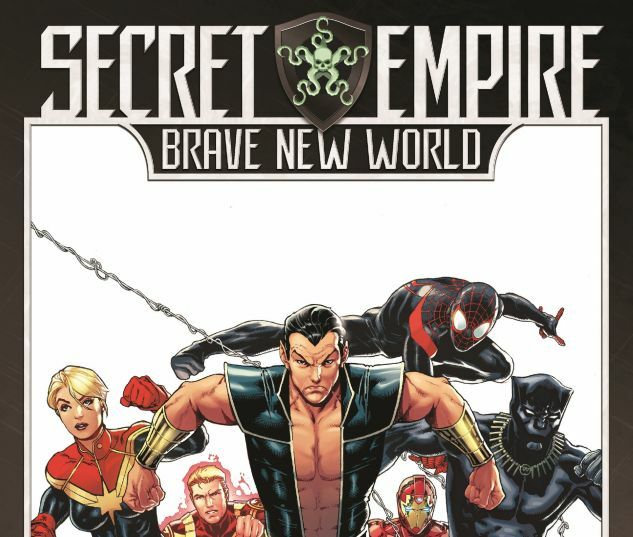 Collecting SECRET EMPIRE: BRAVE NEW WORLD #1-5.